This is where we separate ourselves from all other shallow water jet boats on the market. Why would you buy an SJX boat over any of the other type of shallow water jet boat on the market? The main reason would be this fact, all other shallow water inboard tunnel hulls are more or less just a copy of the original SJX design. We have over 12 years of research & development behind the name. To have a boat that performs, as well as ours does today isn’t an accident. The largest difference is other companies manufacturing these copies is they aren’t actual boat users. The SJX jet boat is primarily on the water and able to perform above all others is due to our need to get where we wanted to always go but never could, until now. Whether you’re a hunter, a fisherman, or an adventurist, you could quite possibly go where nobody else has ever been. A plane could fly over you, but he could never land there. Shallow water jet boats are a breed all their own. There just aren’t that many extreme shallow water jet boats any jet boat that has the Mercury sport jet and is considered a shallow water boat are based on a copy of this design. So when you take a copy of this design and set it side-by-side with our original design it’s really a no-brainer. The quality of our build just stands out so much higher than any of the others out there. Anybody can put bells and whistles on a boat. It doesn’t make it float any better, it doesn’t make it perform any better. This boat was designed for the strength of structure, performance, and 110% functionality. Not just in utility uses but recreational uses. The utility uses are unbelievable. 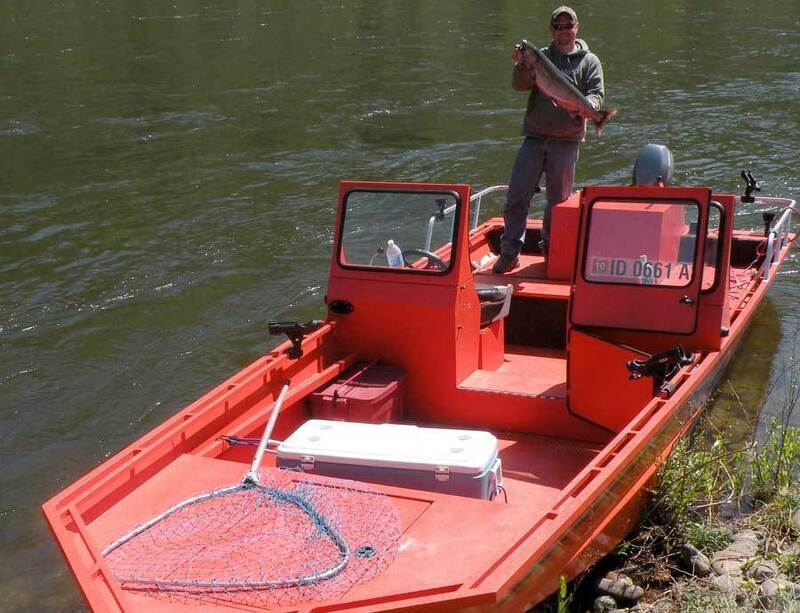 Primarily for payloads and economically in shallow water conditions. 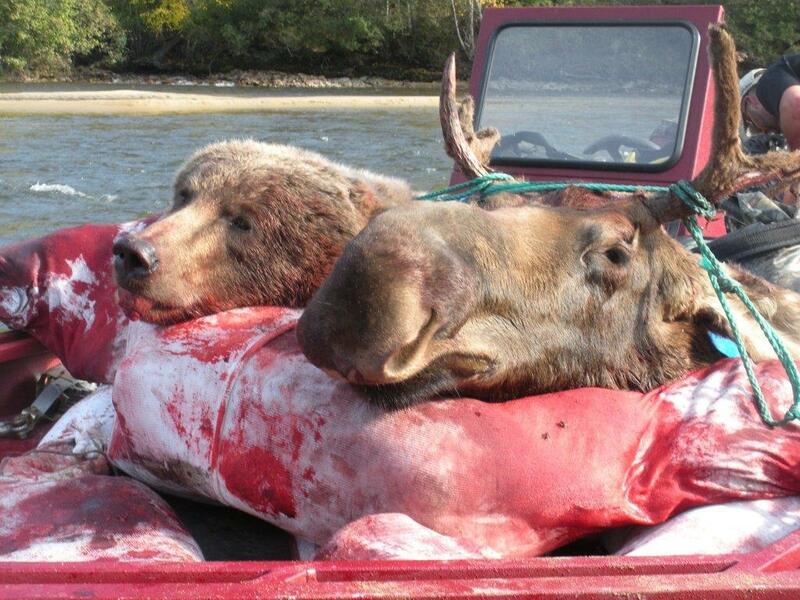 Obviously, as a hunter, you want to get to those remote locations. You want to get to where the game is, and as long as you are in an SJX you can. So it goes without saying that getting there is only half the journey. You’re going to have an extra payload and more weight from the game. You want to be able to take the game out. The SJX has no problem getting up the river to where you need to and get that game back out with our additional payload, it’s designed for it. An avid fisherman wants to reach the spots other fishermen only dream about. From a recreational standpoint, the performance of an SJX is unmatched. You will be able to get to the places you couldn’t get before. Get to where the fishing is better. Have a longer range of running on less fuel. When you add the jet upgrades as well as the other upgrades to assist with fuel economy you’re looking at running about 5 gallons an hour. In other words, you leave all the other boats behind. Wouldn’t you like to own a boat that can reach remote locations no one has ever set foot on shore? 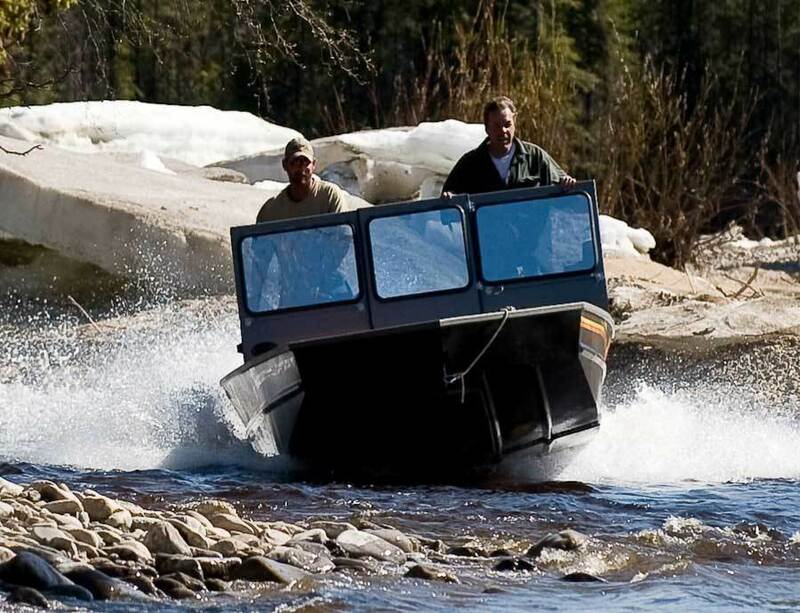 On some of our trips in Alaska we have driven the SJX jet boat up into the mountains. It’s amazing. Most of times owners of an SJX jet boat find themselves to be alone on the river. There are times in spring when the water levels are higher, only then are all the boats on the river. With an SJX you can be on the river all year long even in the low-water situations. This performance demonstration video takes the SJX through a number of it’s normal boat operations (normal for the SJX) and show you it’s capabilities.